There are normally two types of aprons. 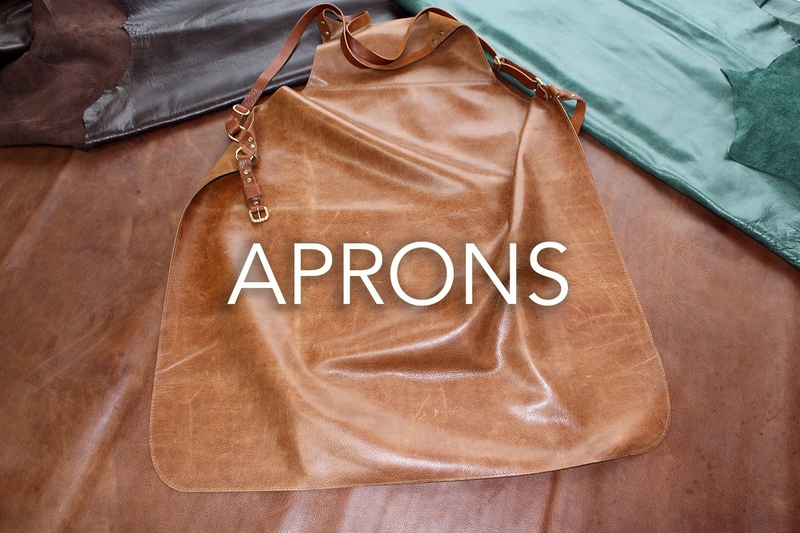 One is a canvas or material apron with leather breast plate and/or leather over sewn pockets. The leather for this is normally a heavier weight, 1.8mm and above. (If the whole apron was made of this leather it would be too heavy to wear) The second type are full leather aprons with neck and waist straps, commonly lighter and softer leathers with more drape. The apron featured in the photograph above is made from our Old Fashioned – Parker.